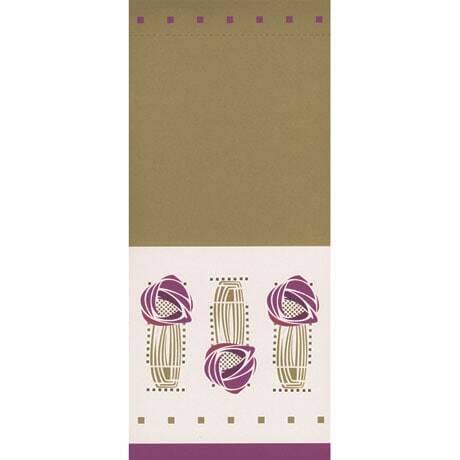 Based on a stencil by Charles Rennie Mackintosh, the abstract floral decoration on this pad is repeated in the lower right-hand corner of each page. Great for to-do lists and shopping trips, the long memo pad (9 × 4 inches) features 70 pages with plenty of writing space. It includes a self-adhesive magnet, giving you the option of hanging the pad up on a fridge, filing cabinet, or any other steel surface.